Dogs are our best friends for a number of reasons. Chief among them is their passion for the joys and simplicities of life that we humans so rarely achieve. 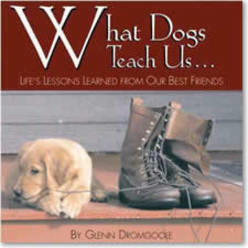 What Dogs Teach Us is a colourful and charming little guide to life's lessons from the unassuming viewpoint of our canine companions. We can all become better friends to one another by applying this inherent wisdom and canine nature to our own lives and circumstances. 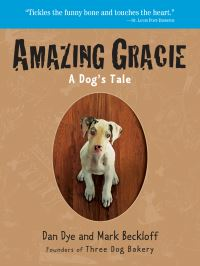 A 30-year veteran editor and reporter, Glenn Dromgoole lives with his two dogs, Pola and Honey, who continue to teach him daily.